Bring water to a boil in medium saucepan. Add shells from mix; cook 7 to 10 minutes or until shells are tender. Do not drain. 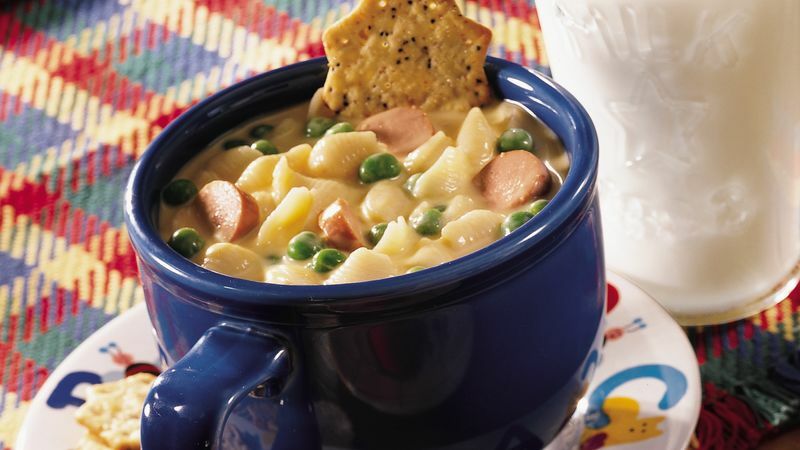 Stir in cheese from mix, milk, peas and hot dogs. Cook 5 to 10 minutes or until soup is thoroughly heated.